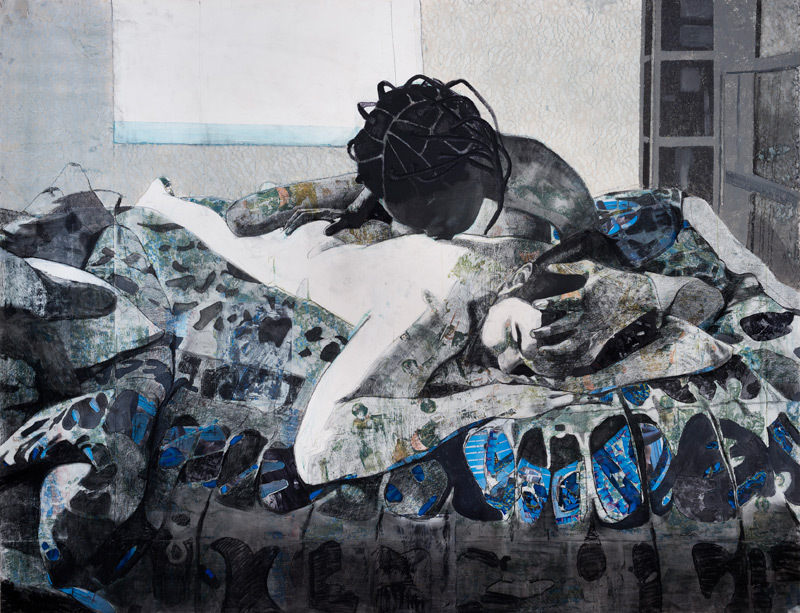 Njideka Akunyili Crosby is a Nigerian born artist who moved to the United States in 1999. Her main medium is collage and her works are usually impressive large. She weaves images evoking how daily life is ‘back home’, the traces of colonialism and the broken threads of diaspora: “Akunyili Crosby’s characters and scenes, however, occupy the liminal, in-between zone that post-colonial theorist Homi K. Bhabha refers to as ‘the third space’, a point of overlap, conflation and mixing of cultural influences specific to diaspora communities” (Victoria Miro Gallery profile – read more).